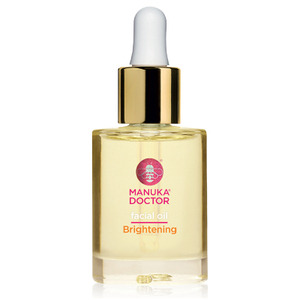 Reignite a youthful glow with Manuka Doctor's Brightening Facial Oil; a luxurious, fast-absorbing formula that works to restore a luminous, fresh complexion. 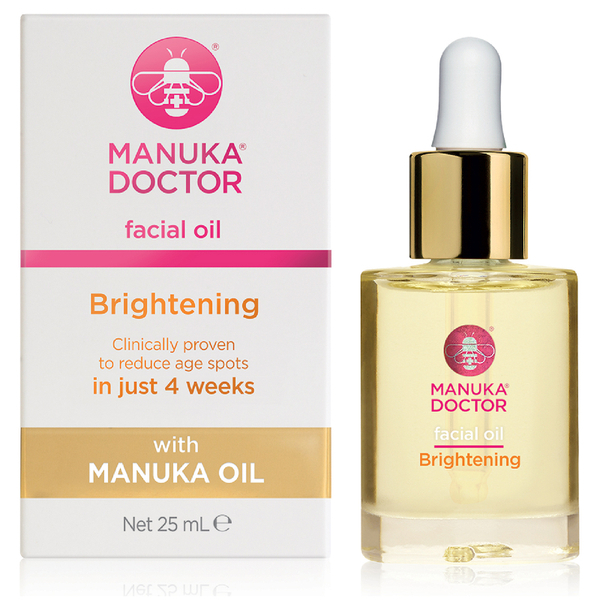 Fortified with a deeply nourishing, antioxidant-rich blend of Argan, Rosehip and Avocado Oils, the anti-ageing treatment defends against oxidative damage and environmental aggressors, whilst a dose of Manuka Oil leaves skin smooth, refined and even toned. Boosts elasticity and minimises the appearance of age spots.